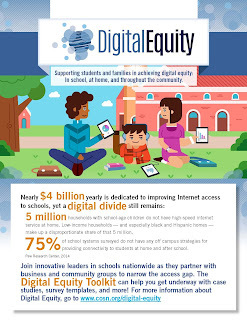 As schools go more and more digital with systems, curriculum, assignments and more, they face the need to provide equity in digital access for their students. Student devices are part of it, but so is internet access at home. This year has seen a huge increase in attention to "Digital Equity" or the "Digital Divide". Here are some great free resources from CoSN ( Consortium for School Networking ) that can help you understand the issue, and address it. 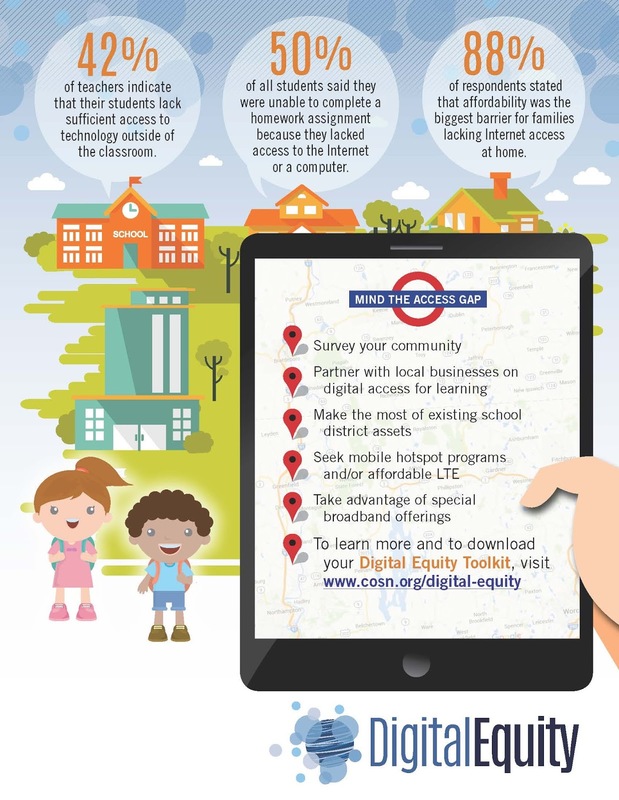 Students without home access to high quality broadband connectivity are at a disadvantage, unable to realize the full power of digital learning. Only 3 percent of teachers in high-poverty schools said that their students had the digital tools necessary to complete homework assignments, compared to 52 percent of teachers in more affluent schools, a discrepancy sometimes labeled the "homework gap." 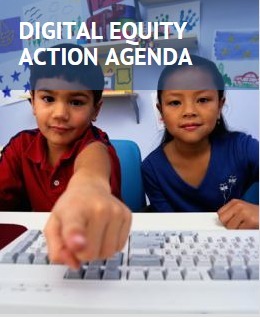 To address this key challenge, CoSN launched the Digital Equity Action Agenda initiative. This effort highlights how some school districts are building meaningful community partnerships and creating tools to help district leaders get started in achieving digital equity.